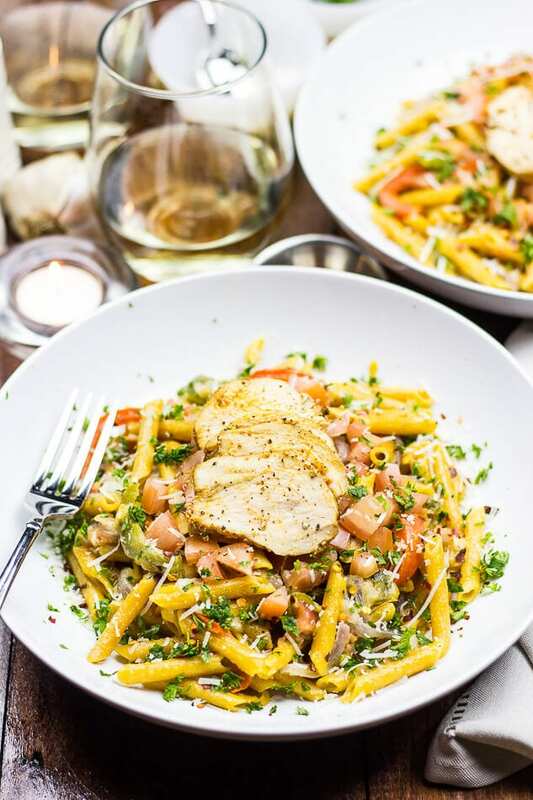 This Cajun Chicken Pasta is a delicious gluten-free weeknight dinner exploding with southwest flavours – sautéed peppers and marinated chicken in a light cream sauce make this pasta to die for! This post is sponsored by Chickapea Pasta. Thanks so much for supporting the brands I love – they help keep my blog up and running! So, I know we are all hitting the New Year's resolutions hard and all, but did you know that you can still have healthy AND pasta in, like, the SAME meal? And you don't even have to wait for the weekend to arrive to get your fill. 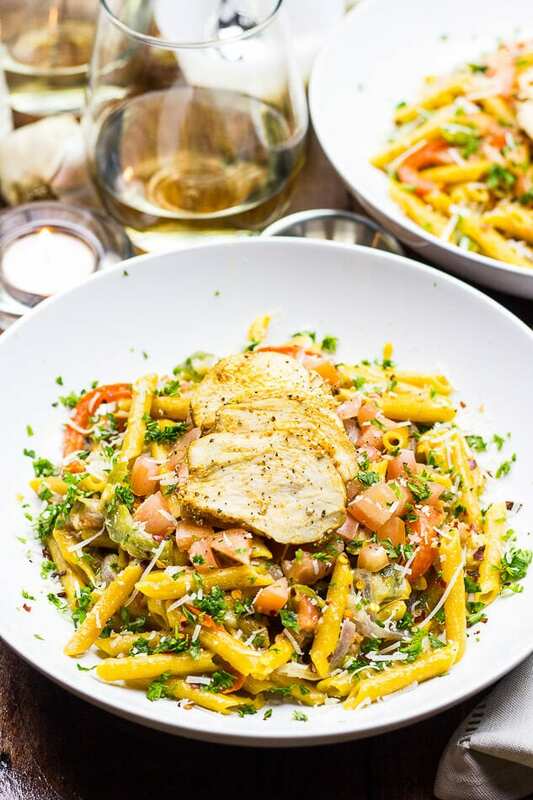 I am in love with this Cajun Chicken Pasta. 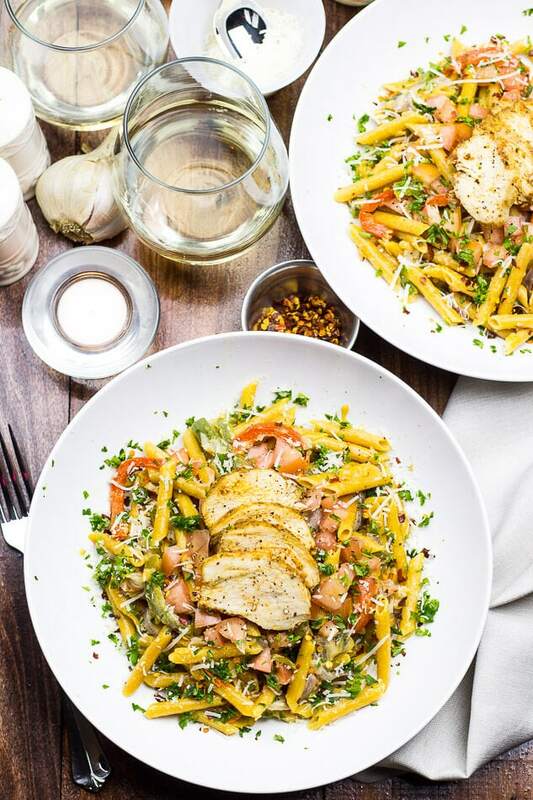 I'm talking tons of spicy sliced chicken, charred bell peppers and sizzling red onions, along with this delicious gluten-free pasta. And did I mention that there's 23g of protein per serving for this pasta?! Along with being gluten-free, vegan, organic and non-GMO (yep, lentil and chickpea flour are the only two ingredients here! ), Chickapea Pasta is seriously going to change the way you think about a big ole' pasta dinner. 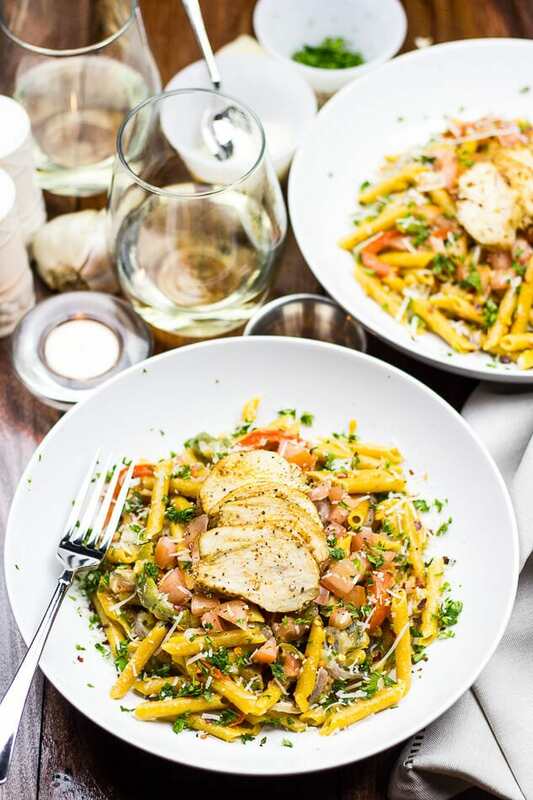 This Cajun chicken pasta is the perfect kind of curling up on the couch, hibernation food. I may have even polished off all the leftovers I froze over the holidays (yes, this recipe is freezer-friendly! ), and I am not one for repeat meals. What can I say? I'm kind of addicted. 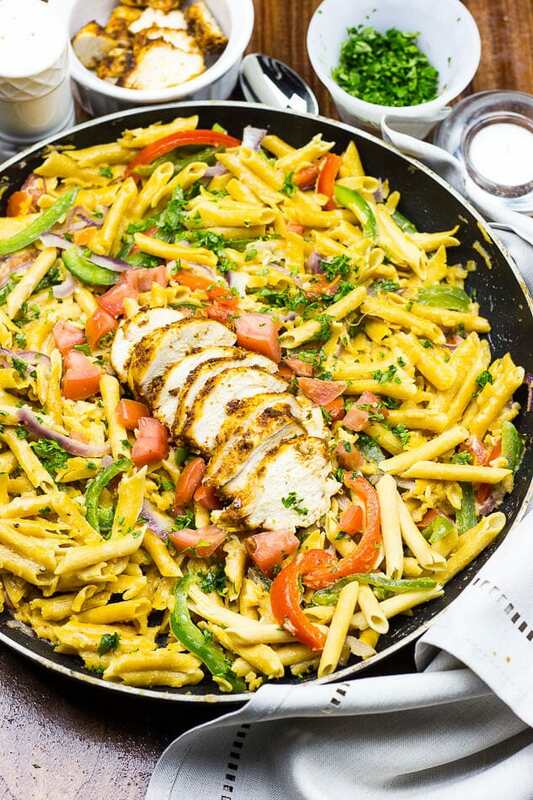 This Cajun chicken pasta checks off pretty much all the boxes on healthy and delicious. I mean, you've got a whole serving of vegetables, and you just can't go wrong with this lighter, gluten-free penne. You don't want that heavy feeling after a long meal, especially after all of the eating we've done over the past couple months! I know that after the holidays, it's hard to reset. You still want all things indulgent and delicious (like more than a few extra mocha lattes for instance? ), but you're also like…I should get my veggies in. I should eat less carbs. I should exercise more. It's time to start thinking less about what you should do, and just focus on year round enjoyment. I'm just going to be over here with my big bowl of Cajun chicken pasta, served up extra spicy and with just a little more parmesan. Have I told you how much I'm obsessed with this flavourful pasta? 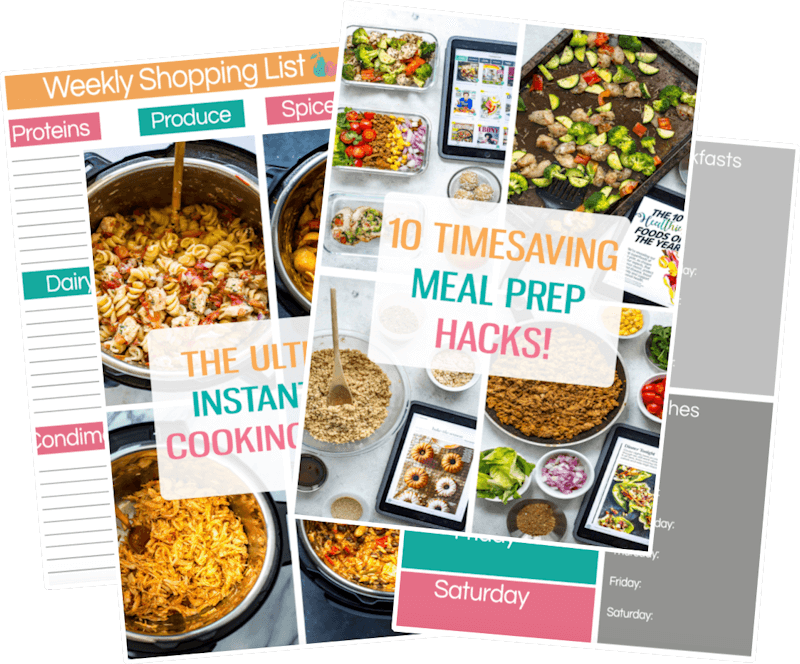 As a member of the Chickapea team I can't wait to share some more fun, easy recipes from the rest of the team throughout the new year. It's time to rethink pasta, people!!! 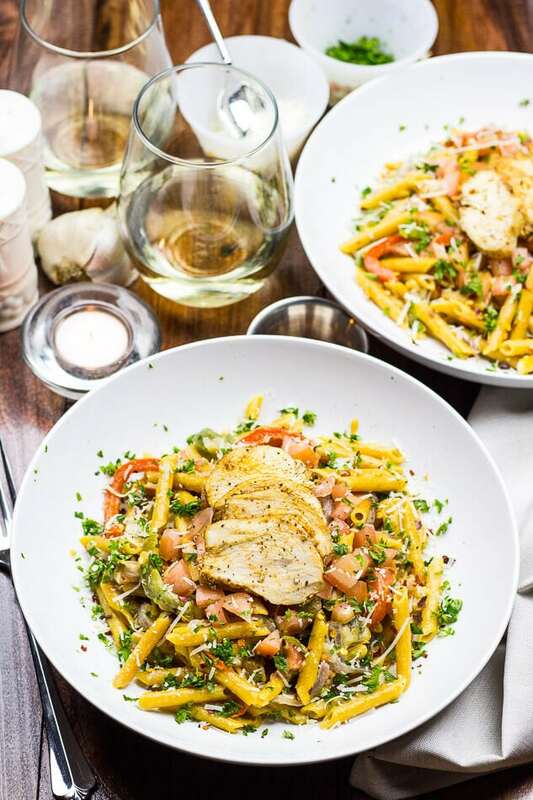 Will you be making this Gluten-Free Cajun Chicken Pasta? If you try any of my recipes be sure to let me know on Instagram, Twitter, Facebook or in the comments – I’d love to see what you cook up! 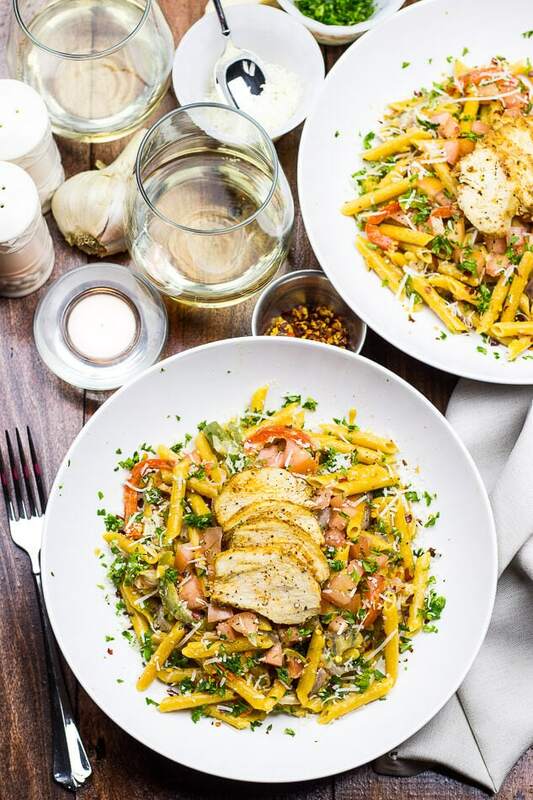 This Cajun Chicken Pasta is a delicious gluten-free weeknight dinner exploding with southwest flavours like sautéed peppers & onions in a light cream sauce! Preheat oven to 425 F (220 C). In a small oven-safe dish, toss chicken with olive oil and Cajun spice mix. Bake once preheated for 25 min. Meanwhile, cook Chickapea pasta for 4 minutes in boiling water. Drain and set aside. In a large non-stick skillet, heat olive oil over med-high heat. Add garlic and saute for 30 seconds. Add half the amount of tomatoes, stirring for 1-2 min. Add red onion, cooking another 2 min. Add bell peppers, then saute for 5 min. Add cream and parmesan cheese, then Chickapea pasta. Gently toss to coat. Remove chicken from the oven and slice with a sharp knife when somewhat cool. Top pasta with remaining diced tomatoes, parsley, red pepper flakes and sliced chicken. Serve and enjoy! Sharing this healthy deliciousness everywhere! This recipe looks delicious and LOVE your video! Chick-a-Pea pasta sounds wonderful. Pinning! Thank you Tricia! I LOVE Chickapea Pasta! I love all the colour in this pasta Taylor – it looks all sunny and fresh but comfort foody too. Is that a word? It is now 😉 I’m going to share this recipe all over the place. It just looks too good! Year round enjoyment indeed! ps. gorgeous photos as always darling!! Thank you so much Kristy, you are too sweet!!! 🙂 I can’t WAIT to see your recipe! Absolutely gorgeous and I’m super excited to try the pasta!! What a beautiful pasta dish. I can’t believe this pasta is so high in protein! I am thinking it would be perfect for my son who doesn’t like to eat meat. Thanks Michelle – this pasta would be an amazing meat substitute!!! Anything with Cajun seasoning is a winner for me and your pasta just looks gorgeous! I am sure I would also have been addicted to this! 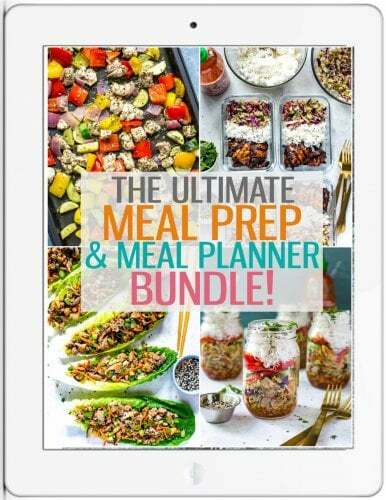 Taylor..this is a wonderful idea and I love the recipe! I’ve had a long time relationship with gluten-free eating and I’m not kidding when I say this is the best gluten-free pasta I’ve ever had. Most fall apart, but this one doesn’t and has great texture. Love the nutty flavor. Thank you Teri, I TOTALLY agree! It was so fun to cook with and blends really well with this light sauce! Thank you Lindsay! I love Cajun flavourings too! Taylor, I love these photos and the overall presentation of this bad boy. It’s so bright and inviting! I may not eat chicken, but this would be great with shrimp, too. Taylor, this looks amazing! I mentioned this to Kristy as well — but as a plant based eater that’s recently developed a sensitivity to gluten, Chickpea pasta is a perfect alternative for me. It’s available locally at my favourite health food store, so I’m going to pick some up this weekend and give it a go! Thanks for introducing us to this brand and for the gorgeous (as always!) recipe. Happy Sunday!